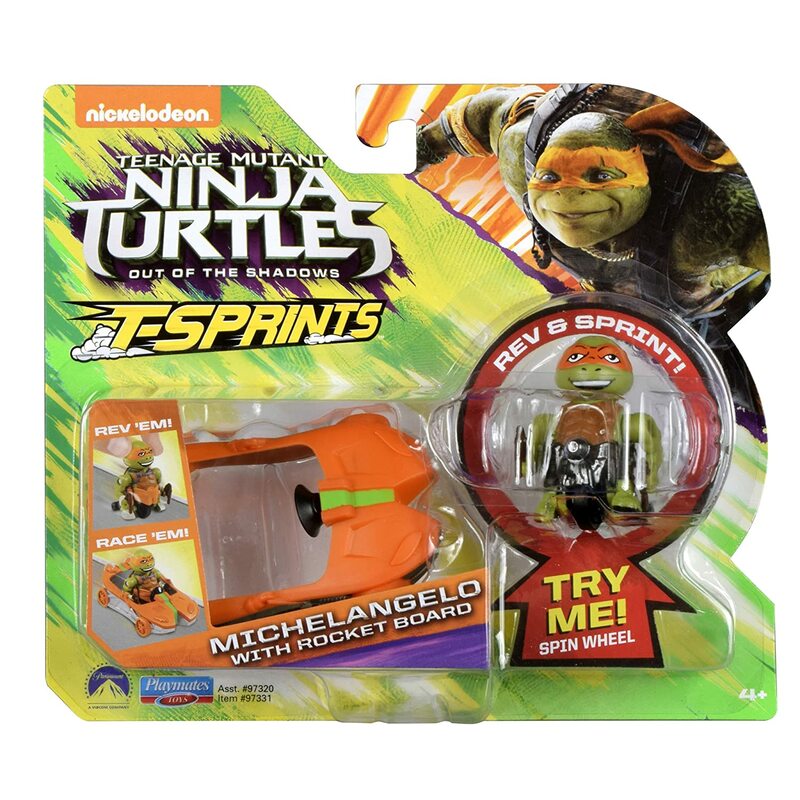 Anyone know where I can find a new T-Sprints Michelangelo with Rocket Board from the 2016 TMNT Out of the Shadows movie? For some reason he just won't pop up on eBay, a seller on Amazon had him for sale at one point but did not ship international. There are none on eBay? I've been checking eBay ever since the original release in 2016 but I've never been able to find him. The other OOTS T-Sprints are also not common on eBay but each one has been on there at one point. Really hope I can find him someday! I saw one of the others when I checked, but no Mike. I wonder why Michelangelo is so hard to find from this line. Usually it's Donatello. Anyway, if anyone does know where I can find one, please let me know, thanks! Just thought I'd give this a bump since I have still not been able to find this item.